PSK Steel Corp. was founded in 1962 by Henry Kinast. Since that time, PSK Steel has specialized in tooling for the aluminum, copper, brass and titanium industries as well as roll tooling for pipe and steel manufacturing. 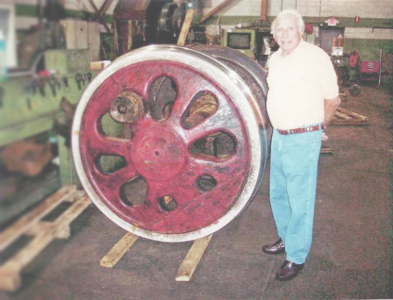 In 1975, PSK Steel Corp. relocated to its current facilities and has since grown to encompass 120,000 sq. ft. including bridge crane with a capacity of 25 tons. The company maintains one of the largest stock inventories of H-13, D-2, and 4340 tool steel in the country, servicing clients both nationally and internationally. PSK Steel has remained a family concern. PSK Steel Corp. is an ISO 9001:2008 Certified company. We voluntarily have developed stringent quality policies, work processes, and standards to ensure the end-product is consistent for our customers. Further more, our employee culture is one of continuos improvement. We monitor and benchmark ourselves and are consistently identify areas where we can enhance our company.